The disease huanglongbing (HLB) and the Asian citrus psyllid (ACP) have devastated the Florida citrus industry and are now in California. The US industry’s response will be addressed by Nate Jameson from Brite Leaf Citrus Nursery, Florida, at the 2019 Citrus Tech Forum that will take place in the Adelaide Convention Centre on 6 and 7 March 2019. 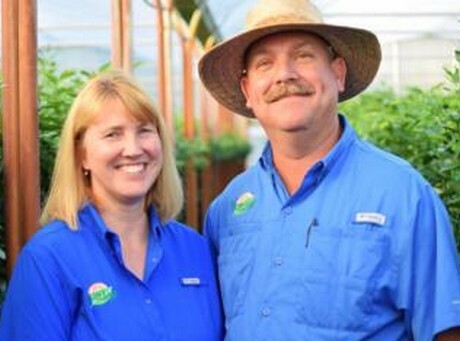 Nate, with his wife, Anna, have been selling plants from their Florida-based nursery to commercial growers since 1998. In 2006, following the state-wide spread of citrus canker and HLB, the Jamesons built a new facility and moved their nursery 120km north of the original premises, to isolate themselves from commercial nurseries. Citrus canker was evident but they realised other diseases could occur. Due to the international spread of HLB and Citrus Canker, Nate has had the opportunity to consult on facility design for disease exclusion for several private companies as well as government agencies in the USA, The Caribbean Rim, Mexico and China. The production system changed to a fully enclosed protected culture program requiring multiple layers or steps to prevent disease entrance. Hand washing is also required for everyone when transitioning from one area to another. Nate said all citrus nursery growers in the United States are individually making multi-million dollar investments to do everything possible to prevent the spread of disease. He will expand on retro fitting of nurseries with exclusion technology, and the need for a certified nursery system to combat disease.